AED.com has created an AED Fitness Center packages designed to make any center a heart safe place to work out. Fitness centers are a high-risk area for sudden cardiac arrest and AED.com shows that equipping a facility with an AED is the best way to prepare. Working out at a gym is one of the best steps toward a healthier heart, but a gym is also a high-risk area for SCA. Any cardio-type workout is intended to work the heart muscle by increasing the body’s demand for oxygen. This activity leads to a healthy heart, but also has the chance of triggering any underlying heart conditions that lead to SCA. The best chance of surviving SCA is when CPR is administered alongside therapy from an AED. AEDs like the Zoll AED Plus, give voice instructions on what is needed, whether it is a shock to restart the heart, or to continue CPR. If a shock is needed, every minute the victim does not receive one, reduces their chance of survival by ten percent. 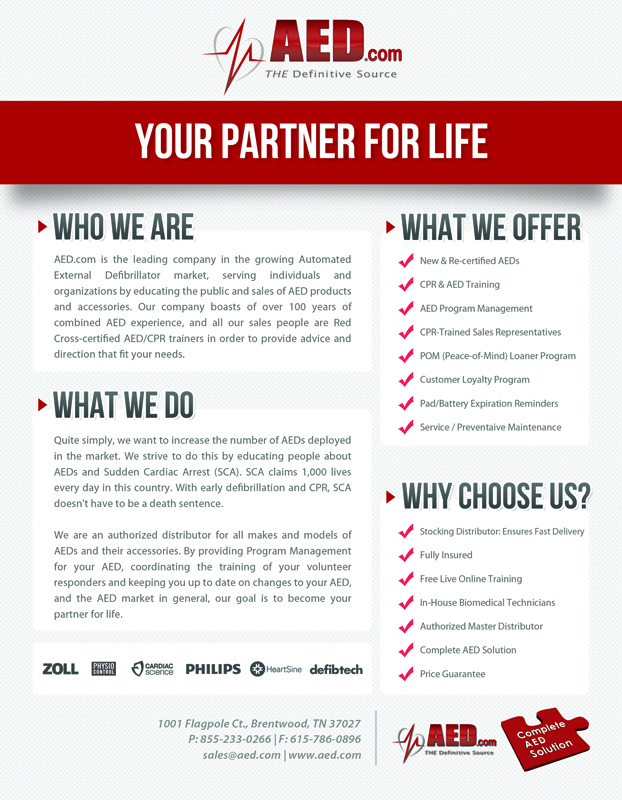 AED.com has been an AED provider for 14 years and has seen the need for AEDs in fitness centers. “While fitness centers provide a great place for the health conscious, we have seen several cases of customers that have used an AED in their fitness center to save a life, as well as customers that have purchased an AED as a result of a gym member having a Sudden Cardiac Arrest event without an AED present ,” commented Justin Darby, Director of Marketing for AED.com. “The best way a fitness center can protect its customers is by implementing an AED with a staff trained to use it. Preparation is key."